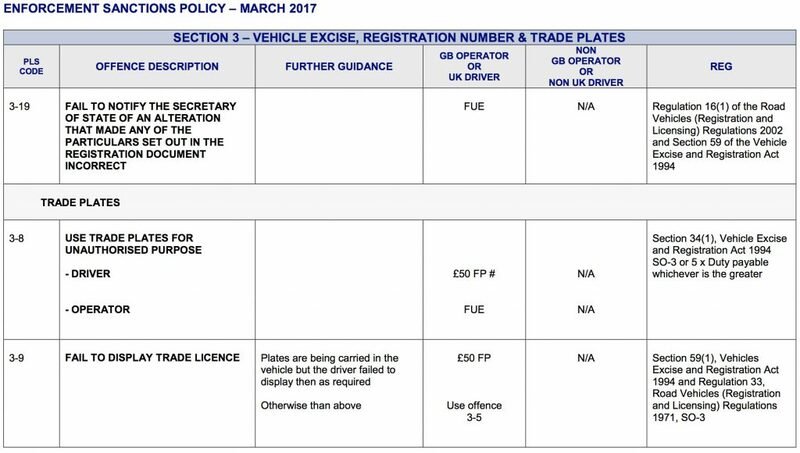 The display of Trade Plates is regulated by the DVLA, but enforced by the Driver & Vehicle Standards Agency through their Enforcement Sanctions Policy which outlines the course of action to be taken when dealing with the majority of all road traffic offences. 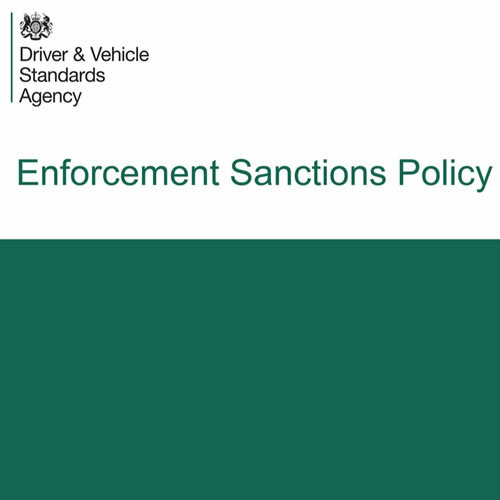 The document also lists the various offences ranging from seat belts, towing, PSV, HGV, driver licensing and insurance, through to defects and Trade Plates together with the sanctions that apply – eg. fixed penalities. 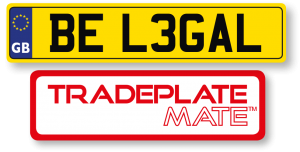 Trade Plates can be found in Section 3 and the penalties are either a £50.00 fixed penalty or a fine = 5 x duty payable.